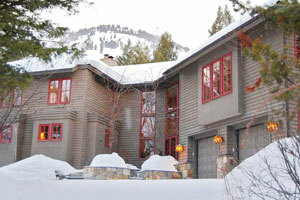 Find your own ski in and out by owner rental in Jackson Hole-click on this link! 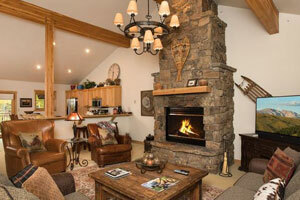 Sagebrush - 2 bedroom 2 bath, sleeps 6 from $125/nt - Book it! Just steps to the new Moose Creek Lift, Abode at Teewinot !! - -3 bedrooms, 3 baths, Sleeps 6, ave. nightly $396 -Book it! VRBO 1098654-Just steps to the new Moose Creek Lift, Abode at Teewinot is perfect for the whole family! This unit offers 3 bedrooms, 3 bathrooms, full size kitchen and a spacious living area with a wet bar and a large river rock fireplace. The master bedroom has a king bed with en-suite bath, two guest bedrooms each with 2 twin beds. Extras include heated underground parking, private deck, in-unit washer and dryer and mountain views!! 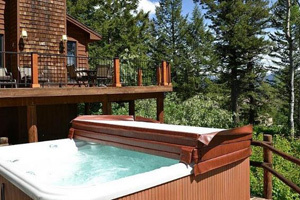 Take advantage of the Sundance Club hot tub, pool and tennis court! Nez Pierce - 2 beds- 3 baths, sleeps 6- Book it! Moose Creek 6 Townhouse at base of Moose Creek Lift - 3 beds, 3 1/2 baths, sleeps 8, ave. nightly $760 - - Book it! VRBO 1092195-Moose Creek 6 is a multi-level, ski in/ski out, luxury townhome nestled in the Teton woodlands and located only 30 steps from the base of the Moose Creek lift. This unit offers privacy and plenty of opportunities to spot wildlife ambling through the surrounding area. 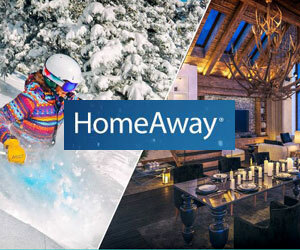 It is the ultimate place to stay for an epic ski trip or summer get away. An endless variety of activities and adventures are right outside the door. The ski in/ski out location makes it a snap to ski right up to the front door after a day on the slopes and a convenient ski locker makes storing your skis a breeze. The master bedroom features a king-sized bed, TV, walk-in closet, large private bath with a walk-in shower and Jacuzzi bath tub. A private deck adjoins the master bedroom. The second bedroom, a junior suite, has a queen bed, full bath and large closet. The third bedroom has two sets of bunk beds (4 twins total), full bath with a hot tub on the adjoining outdoor patio. WINTER HOLIDAY DATES AVAILABLE! SKI IN SKI OUT! Inquire today! 5 bedrooms, 5 bathrooms, sleeps 12, ave nightly $1829 - - Book it! 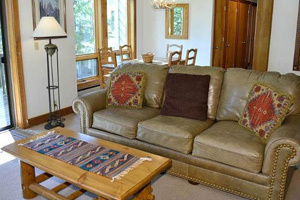 VRBO 771035-Located at the base of Jackson Hole Mountain Resort, Cody Peak Lodge is one of the premier vacation rental homes in Jackson Hole. The lodge’s abundant living space, private ski access, two story glass entryway, hanging walkways, four spacious bedrooms, and private outdoor areas make for the perfect family vacation or secluded getaway. Outside, there is private access to the ski resort to make skiing, biking, hiking, and other activities. This well maintained trail provides access from the lodge to Jackson Hole Mountain Resort and the National Forest. There is a seasonal stream that flows through the property, with a bridge over the stream, and very private yards on all sides of the lodge. Grill, hot tub, decks, and patio furniture make for great family events and entertaining. 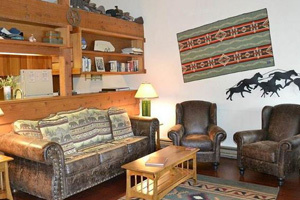 Three Bear Tracks - 6 beds, 4 baths, sleeps 12 - from $390/nt- Book it! 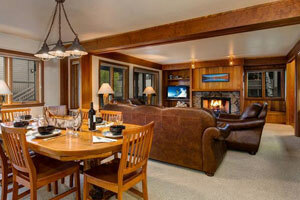 Trip Advisor FKN2385108 -Three Bear Tracks is a beautiful six-bedroom home located in Teton Village. This spacious two level home will suit the needs of 12 guests. You won’t find a more functional floor plan that brings the outdoors inside. Nestled mountainside at the base of Jackson Hole Mountain Resort, you will enjoy your own space surrounded by woods on a ¾ acre property. Witness animals in their natural habitat from your windows and deck and still be walking distance from ski lift and village activities during any season. Entering you will find a very open and appealing main level with access to the living room, kitchen, dining room and deck. The living room is complete with wood burning fireplace, flat screen TV and stereo. The kitchen is fully equipped and provides extra bar seating for four. The dining table will comfortably seat 8 and is positioned to take advantage of the spectacular mountain scenery. 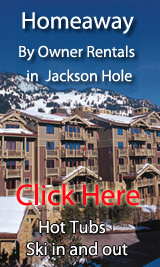 Jackson Hole By Owner Rentals- Our Blog! Great Deal:Nez Pierce - 2 beds- 3 baths, sleeps 6- Book it!